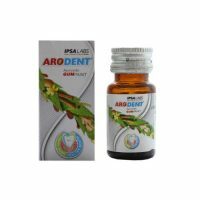 Making the teeth stronger and more resistant to decay caused by acid and bacteria. 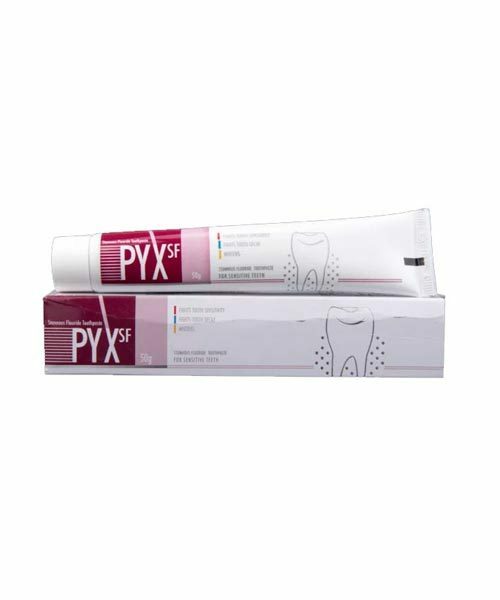 Pyx Sf Toothpaste is applied to teeth to prevent cavities. Fluoride is a mineral that works by making the teeth stronger and more resistant to decay caused by acid and bacteria. Stannous fluoride converts the calcium mineral apatite into fluorapatite , which makes tooth enamel more resistant to bacteria-generated acid attacks. In toothpastes containing calcium minerals, sodium fluoride becomes ineffective over time, while stannous fluoride remains effective in strengthening tooth enamel. 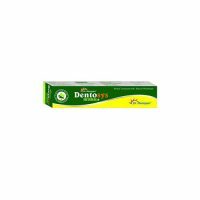 Stannous fluoride has been shown to be more effective than sodium fluoride in reducing the incidence of dental caries and controlling gingivitis . 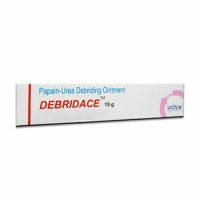 Recommended use once a day for caries prone teeth and twice a day for sensitivity.